Brand fans creating art is nothing new. Sharpie fans, for instance, share so much fan art, there is an entire brand-sponsored blog dedicated to showcasing their work. 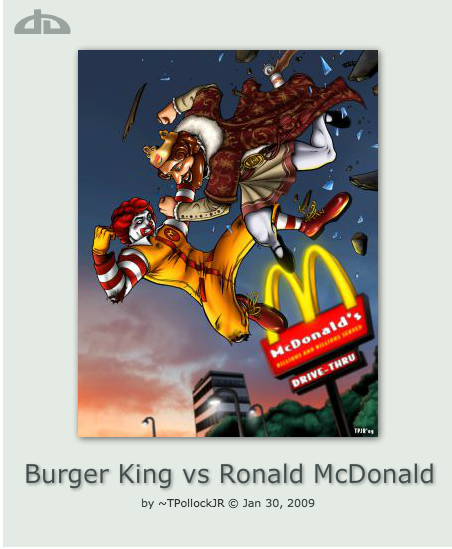 Fast food fans have depicted epic battles between Ronald McDonald and the Burger King. And, we’ve seen illustrations, gifs and fan fiction around brands ranging from Regal Cinemas to The Cartoon Network’s Adventure Time series. The movie, Frozen, of course, inspired a plethora of fans to sing along to the film’s signature songs in addition to gifs and drawings. Diet Coke recently commissioned artwork from fan Tweets and this past summer, StarWars.com launched a fan art contest. Some brands eschew this kind of fan engagement, fearing copyright concerns. Hasbro got around that issue when they created an online store where fans can buy and sell each other’s work, with a focus on their popular My Little Pony brand. The company offers special licenses to artists, allowing for some measure of control … and profit for Hasbro. But, I’ve noticed another trend these days: the fan song. Anyone with Minecraft-obsessed kids has probably endured these songs over and over again. Sometimes, they are parodies of beloved songs. Other times, they feature original music. Now, there is an obvious and natural fit for fan art around movies, games and TV shows. After all, there are built-in characters and story lines to explore. There are also a number of brands out there with music already ingrained in their history. Moe’s Southwest Grill, for example. The name itself stands for Musicians, Outlaws and Entertainers. And, the brand just released a special Moe’s Spotify playlist designed for people to enjoy while eating their queso. Yet, I haven’t been able to find anything online where the brand is encouraging and rewarding fans to write and perform their own Moe’s-related music and/or create parodies of the music featured in their restaurants, which would be a great way to create personal engagement with customers. Still, there are many ways you can leverage your customers’ enthusiasm and encourage them to share their own interpretations of your brand’s personality, even if you don’t have an intrinsic connection to music or art. Whether it’s animating a logo or asking fans to help redesign product packaging or, say, a cleaning product asking customers to create/share the playlists that help them knock out their chores. Art is a part of our daily lives and you should encourage your customers to connect it to your products. 1. COMPELLING AND CONTAGIOUS CONTENT: Brands constantly struggle to develop enough content to feed the digital and social media beast. Whether it’s an illustration, a gif or a song, when fans CREATE AND SHARE art around your brand, they share the burden of content creation and ensure its virality. 2. CULTURAL RELEVANCE: It can be hard for brands to remain relevant in our ever-changing and all-so-fickle culture. But, when you let your customers create fan art, you will be aligned with the hottest trends and interests of your customers. The “cool factor” alone cannot be overstated. 3. DEEPER CONNECTIONS: It creates a deeper connection to the brand. And, not just with the artist creating the work, but with everyone who enjoys and shares it. 4. IT’S FREE ADVERTISING: I cannot stress this enough. When you allow your fans to create gifs, memes, illustrations and songs around your brand, you get free advertising with every view, like and share online. Have you incorporated fan art into your brand or client’s campaign? If so, let me know how you did it and how it worked for you!